Yet another year is coming to an end. As far as Ubuntu and Canonical are concerned, 2010 is perhaps *the* most eventful year in their history. Let us take a quick flashback and analyse the most important changes Ubuntu has made during the year. 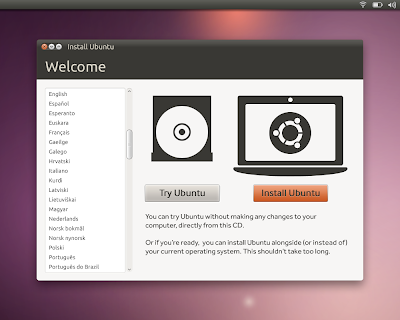 Ubuntu in 2010 - How Things Changed! Year 2010 had been a dramatic one for Ubuntu. A lot of groundbreaking changes happened during the year for Ubuntu, first with the release of Ubuntu 10.04 LTS codenamed "Lucid Lynx" and later with release of Ubuntu 10.10 "Maverick Meerkat" which was affectionately called the perfect 10. Lets learn more about these changes in detail. Ubuntu started the year with a bang. Ditching the brownish color scheme Ubuntu followed since its inception in 2004, Ubuntu chose to be bold and beautiful instead. Ubuntu had a complete branding makeover. Everything from Ubuntu logos, GTK themes, bootscreen, website and even the CD cover now have a totally refreshing new look and feel. Read more about Ubuntu branding makeover. 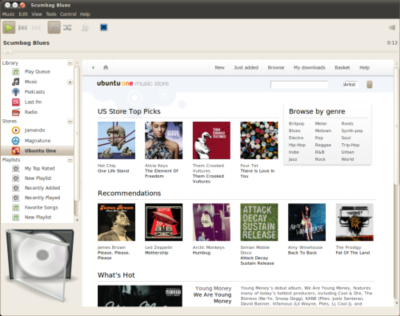 Ubuntu One Music Store was a new service from Ubuntu, introduced during Ubuntu 10.04 Lucid Lynx release cycle. Through Ubuntu One Music Store, Ubuntu users have access to purchase popular music from all of their favorite artists that make up an expanding catalog of millions of songs. Ubuntu One Music Store is powered by 7 digital and they provide arguably the largest collection of DRM free songs. Apart from all these, Ubuntu One Music Store also marked Canonical's first baby steps towards monetization of the brand. 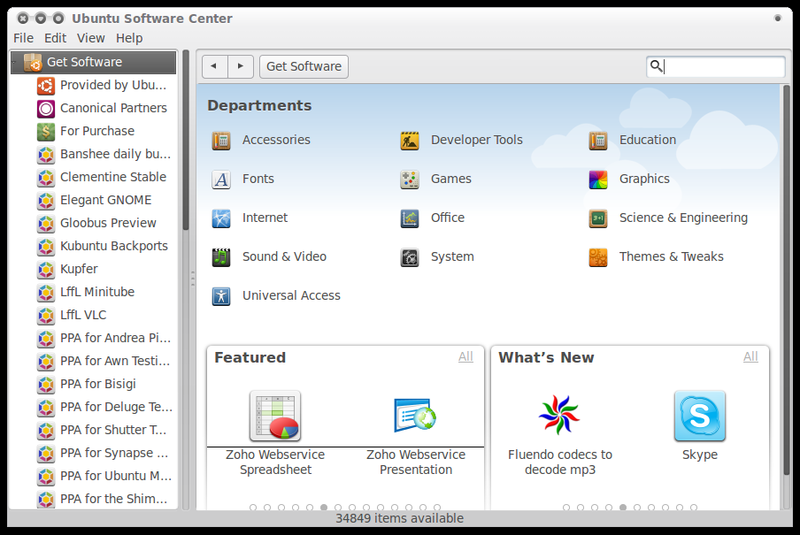 Ubuntu Software Center is definitely the application that received maximum attention during Ubuntu Maverick release cycle. A lot of things changed and are still changing with Ubuntu Software Center. It received a brand new interface which looks and feels a lot more alive and user friendly at the same time. Latest changes even brings "for sale" applications into Ubuntu Software Center which could prove to be the real difference. 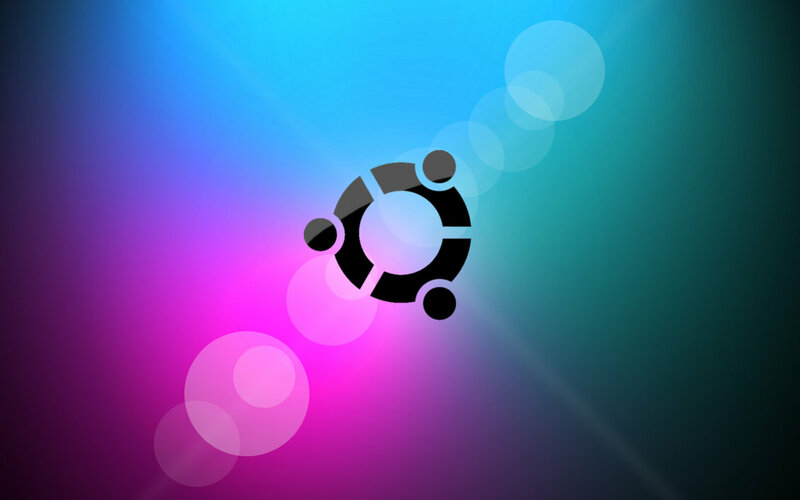 It has the potential to kick start third party application development for Ubuntu(and Linux) in a big way. World of Goo and Vendetta Online were the latest apps to be included in the "For Purchase" section of Software Center. 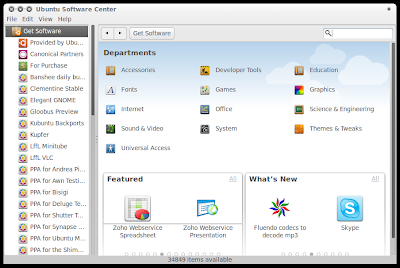 Learn in more detail about the evolution of Ubuntu Software Center. Apart from completely revamping Ubuntu Software Center, Canonical made a lot of other major improvements across the board. The other recipients include upgraded Ubuntu Installer, a new eyecandy Sound Menu, an all integrated Me Menu messaging application among others. Learn more about such small but important changes here. Ubuntu Unity is the latest innovation. For the first time, Canonical have decided to choose go-it-alone strategy and will be using Unity interface as default for next release instead of GNOME's very own GNOME Shell interface. Both are undergoing development quite rapidly as well. According to Mark Shuttleworth, adoption of Unity is *the* most important change as far as Ubuntu is concerned. Another groundbreaking decision Canonical made was the selection of Wayland display server instead of X11 for Ubuntu's future. Though you most probably won't find this significant change happening anytime soon, definitely not for the next major release, Ubuntu 11.04 codenamed "Natty Narwhal". Read more on Ubuntu's shift to Wayland display server.